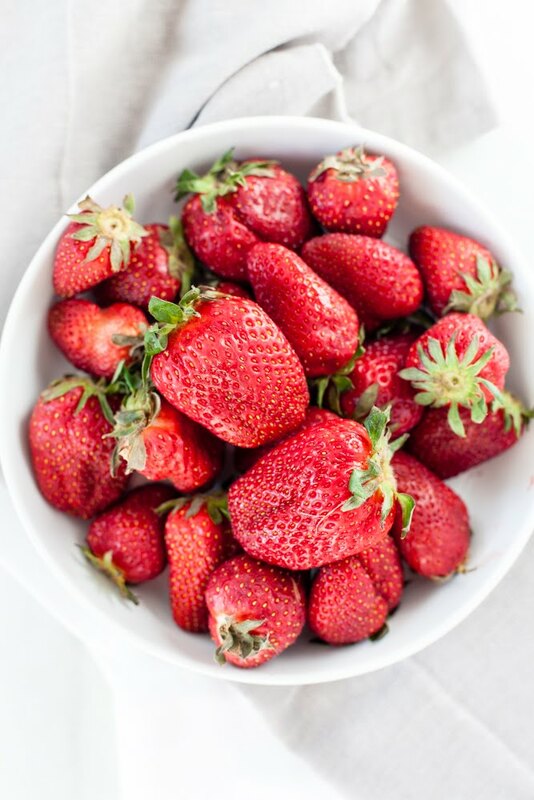 It’s that time of year, everything is alive and beautiful again and strawberries are in season! I get so excited about cooking with fresh ingredients. 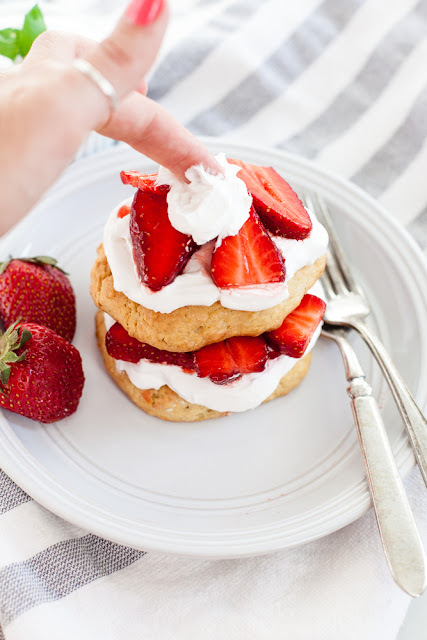 Last weekend I went to the farmer’s market and picked up a bunch of strawberries and had the itch to make these little shortcakes. When I was a little girl I used to love to play in the garden! My mom planted all kinds of vegetables and picking them was my favorite thing to do. Recently, a friend and I went to pick strawberries and it reminded me of being a little girl with no worries of getting dirt all over me and having the reward of picking something right off the vine. I think it’s so cool to see where our food comes from. It certainly makes me appreciate it a lot more. 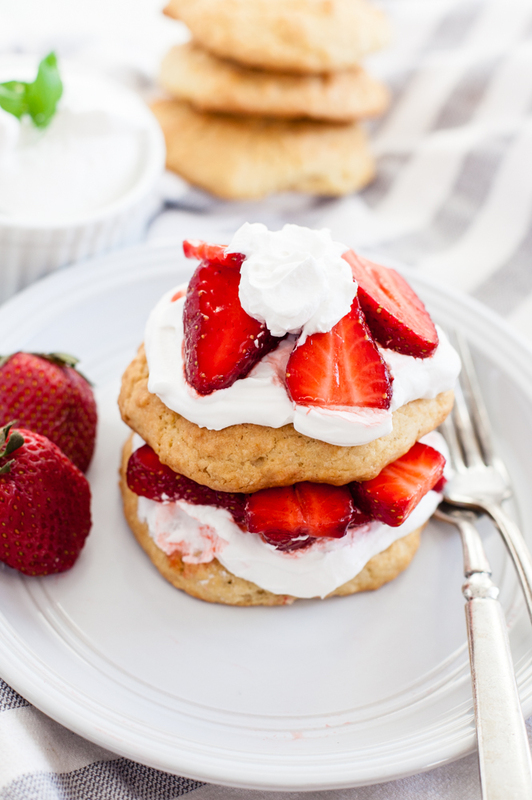 These Strawberry Shortcakes are the epitome of fresh food. Made from scratch cakes, freshly picked berries and a little bit of whipped cream all make the perfect warm-weather dessert! I hope you enjoy. 1. In a bowl mix the strawberries and 1 tbsp sugar. Refrigerate while preparing the shortcakes. 2. Preheat oven to 400 degrees F. Put parchment paper onto a baking sheet and set aside. In a sifter, sift flour, baking powder, baking soda, and salt. Stir in 2 tbsp sugar. Using a fork or pastry cutter, mix cold butter into the flour mixture until it has a grainy texture. Stir in almond milk. Place the dough onto a floured surface and flatten to about ¼ inch thick. Use a round glass or biscuit cutter to cut out circles and place them on the prepared baking sheet. Cook in the oven for about 17-20 minutes or until golden brown. 3. 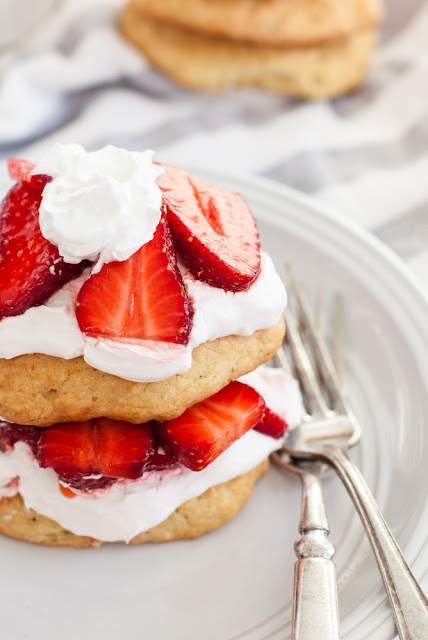 Allow to cool and assemble with prepared strawberries and whipped cream. Original content by A Happy Healthy Heart.